Supreme Court rules against EPA on mercury emissions, but we're still winning the war on coal. Bad News: Supreme Court Blocked Power Plant Rules. Good News: The Era of Coal Is Over. Global trends show we’re still winning the war on coal, despite Monday’s Supreme Court ruling. Here, the Mitchell Power Station, a coal-fired power plant in New Eagle, Pennsylvania, before it was shut down in 2014. On Monday, the Supreme Court ruled against one of the Obama administration’s primary battle victories in the so-called war on coal. 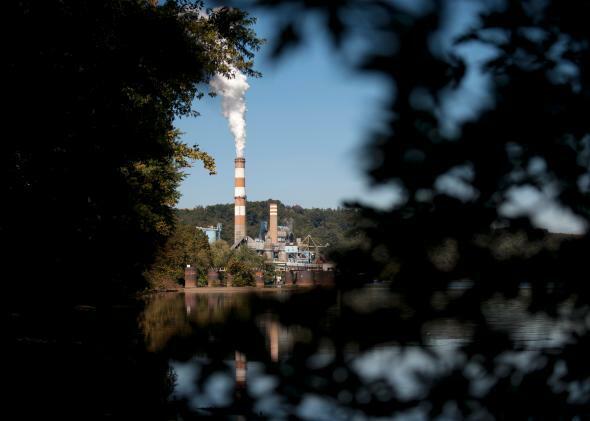 The court decided that the government hadn’t appropriately considered the economic cost to the coal industry of new rules designed to limit toxic mercury emissions. But buck up, environmentalists. The defeat for the Environmental Protection Agency probably won’t make much of a difference. While the estimated annual cost of $9.6 billion is not widely disputed, the cost-benefit ratio is. Opponents said the benefits are as low as $4 million a year. Proponents said when all secondary pollutants are considered, they’re as high as $90 billion. This ruling does not invalidate the mercury regulations altogether. Rather, it simply requires the EPA to reconsider costs to power plants before deciding whether the regulations are “appropriate and necessary.” Presuming it considers these costs and decides that the regulations remain necessary, the EPA may again impose the new emissions standards. Today’s ruling is essentially just a delay in what is likely to be an inevitable crackdown on coal emissions. “It is very likely that the mercury rule will ultimately be upheld, and that it will remain in place as the legal process continues,” Richard Revesz, director of the Institute for Policy Integrity and dean emeritus of NYU Law School, said in a press release. Long after it was first discovered that there’s a lot of energy stored in those dirty black rocks, coal remains one of the world’s leading power sources. * Regardless of Monday’s Supreme Court decision, that is changing. Coal use in America is dying a long, slow death as cheaper and cleaner sources of energy emerge. This historic shift has been led by a boom in domestic natural gas, quickly expanding sources of cheap renewable energy, and awareness of coal’s damaging effects on public health and the environment. Earlier this year, a study concluded that, in order to preserve a safe and stable climate, the vast majority of the world’s coal reserves must stay in the ground. The Obama administration’s proposed rules, now delayed, essentially just sped up a process that’s taking place anyway. Americans are overwhelmingly in favor of our transition away from coal. Coal use has already peaked in the U.S. and may have also peaked in places like China, years earlier than expected. China burns about as much coal as the rest of the world combined, and Chinese citizens are rightly fed up with how dirty the air there has become—estimates suggest that it contributes to hundreds of thousands of premature deaths each year. Since its release a few months ago, a documentary called Under the Dome has garnered hundreds of millions of views in China. (The Chinese government initially celebrated the film but then censored it.) It seems China, too, now has its own war on coal. Expect other major emitters, like India, to follow. For a bit, it seemed like America would just send overseas all the coal it wasn’t using at home, but that too looks like a dead end for the industry. U.S. coal exports declined a whopping 17 percent just between 2013 and 2014. Beyond mercury and smog, coal is the most carbon-intensive source of energy, and a huge contributor to climate change. That means the shift away from coal needs to happen as quickly as possible. After the Supreme Court ruling was released, coal stocks spiked with the prospect of perhaps a few more years delay before the mercury emissions rules go into effect. The stock of Peabody Coal, America’s biggest coal company, closed up more than 9 percent on Monday. But—get this—it is down a whopping 67 percent so far this year. That’s a pretty good indication that Monday’s Supreme Court ruling is a mere blip in a long-term market-driven shift away from coal. What’s more, Monday’s ruling actually strengthens the government’s case in defending legal challenges to the Obama administration’s plan to reduce power plant emissions. The quirk here is that, according to Clear Air Act scholars, the order of the regulations matters: Coal companies didn’t want to navigate a mandate to reduce carbon emissions after a separate rule to limit mercury was already on the books. If the carbon dioxide rule can be finalized first—which is more likely with Monday’s delay to the mercury rule—it may pave the way for tougher emissions standards to happen sooner. And that just might be the death knell for coal. *Correction, July 1, 2015: This post originally suggested that coal was discovered 165 years ago. It was discovered long before that; there is archaeological evidence of its use nearly 2,000 years ago in ancient Rome and among the Hopi Indians of the American Southwest more than 700 years ago.